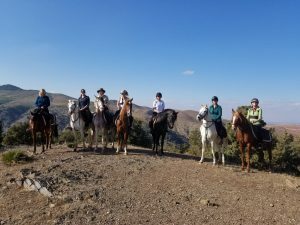 A horse riding holiday in the mountains has many unique qualities that make these rides so special; panoramic views, ever changing scenery, challenging and diverse terrain and great diversity of pace. 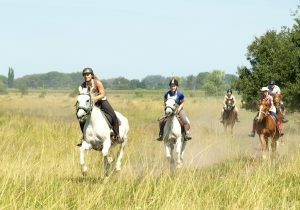 Riding in the mountains can be enjoyed by novice riders who are reasonably fit and well balanced. As the pace can be slow, trust in your horse and confidence is more important on those rides than technical riding ability. However on other rides, the time needs to be made up on the open terrain and the pace really picks up, making riding experience a prerequisite. A large variation in comfort at night is also found: from charming guest houses, to primitive camping in remote and inaccessible places where all equipment is carried on pack animals.